The 500-square-foot “jewel box” is on a light-filled corner in the charming, walkable complex, which feels more like a small town than a traditional shopping center. 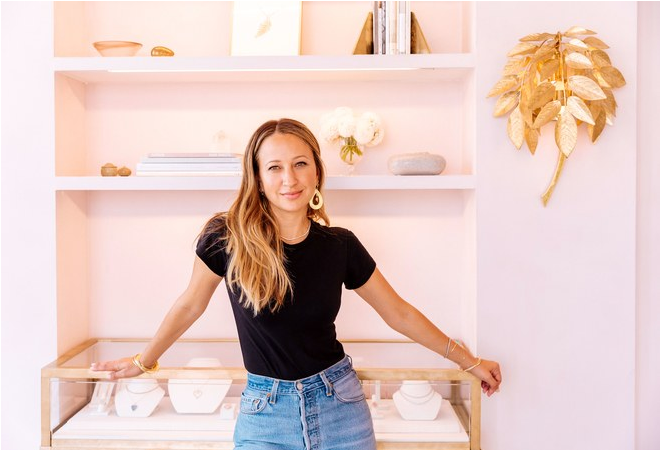 Nearby, friends and other women she admires are opening their own stores: A.L.C. 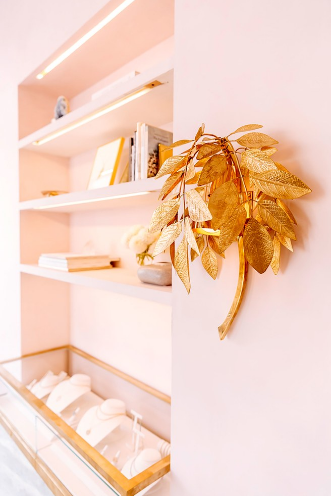 (Andrea Lieberman’s second store after opening one in New York this spring), Anine Bing, Elyse Walker, Rachel Zoe, Zimmermann, and many more. Inside, Meyer’s shop was designed around her jewelry. 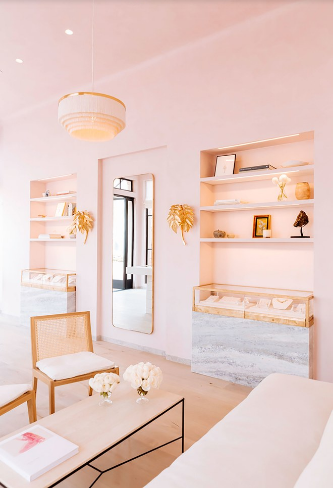 The petal pink plaster walls match her signature pink opal heart necklace, for instance; the blue marble accents pick up on her gorgeous turquoise and lapis pieces; leaf-shaped sconces mirror her signature leaf motif; and, in the middle of the shop, a massive limestone jewelry case lends some raw contrast to the dainty, high-shine stuff inside.